The first ICC Board meeting of 2017 has concluded in Dubai with a series of key decisions being taken. With a full Board meeting, Chief Executives’ Committee and Finance and Commercial Affairs Committee meeting, the agenda over three days 2-4 February was a packed one. Agreement in principle to constitutional and financial change, further progress on future international cricket structures and agreement around the consistent use of DRS were just three of the outcomes of the meetings, detailed below. The changes recommended by the ICC Working Group to the constitution and financial model have been passed in principle by the ICC Board with a commitment to consider any further representations from the Members and completing the detail by the April ICC Board meeting. The ICC Board agreed to work collaboratively on the detail of the constitution and model with a view to final sign off at the April Board meeting and submission to the full ICC Council in June. A number of members have observations and queries on the constitution and financial model – they have been invited to submit those, says ICC Chief Executive. ICC Chairman Shashank Manohar said: “Today was an important step forward for the future of the ICC and cricket around the world. The proposals from the working group to reverse the resolutions of 2014 and deliver a revised constitution and financial model were accepted by the ICC Board and now we will work collectively to refine the detail for final sign off in April. This also allows the new BCCI leadership appropriate time to appraise the detail and contribute. “I want the ICC to be reasonable and fair in our approach to all 105 Members and the revised constitution and financial model does that. There are still details to work through and concerns to be addressed, but the principle of change is agreed and not for debate. A scheduling summit will now be held in March before a detailed proposal is put to the ICC Board in April. 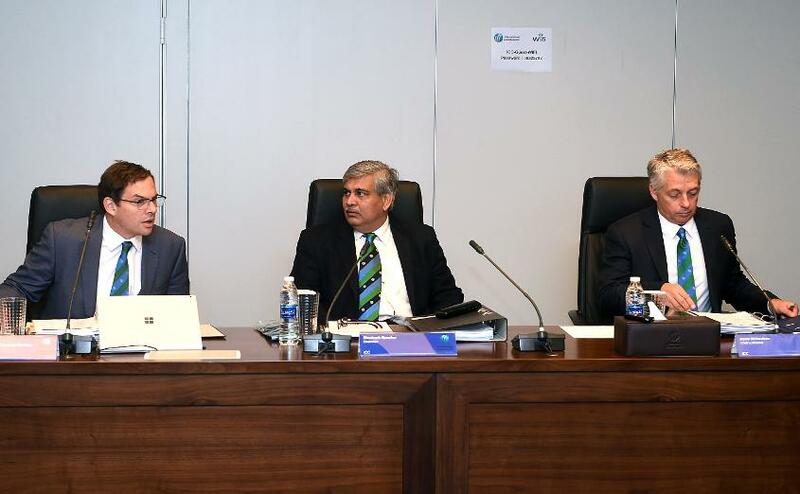 ICC Chief Executive David Richardson said: “The ICC Chief Executives’ Committee has explored a whole range of solutions to the future structure of bilateral cricket ranging from the status quo to two tier leagues and every possible option in-between. 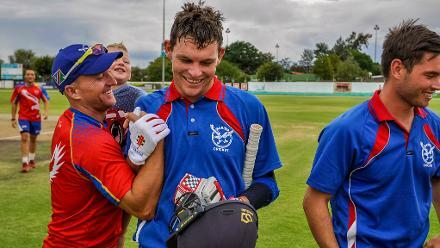 “The model the group has agreed on enables us to provide context for all three formats of the game and in the case of the ODI and T20 solutions the approach goes beyond the full Members and aligns bilateral cricket with qualification for ICC events. The Chief Executives’ Committee agreed to the principle of a consistent use of DRS technology across all international cricket. A full implementation plan will be considered by the ICC Cricket Committee in May before approval in June 2017 for roll-out from October 2017. In the interim the CEC agreed that DRS will be used in the ICC Champions Trophy 2017, all televised games at the ICC Women’s World Cup and all future ICC World Twenty20 televised games with one review per side. Post 2017 any technology used must be checked and approved by MIT. Changes to the ICC Pitch and Outfield Monitoring Process were agreed. 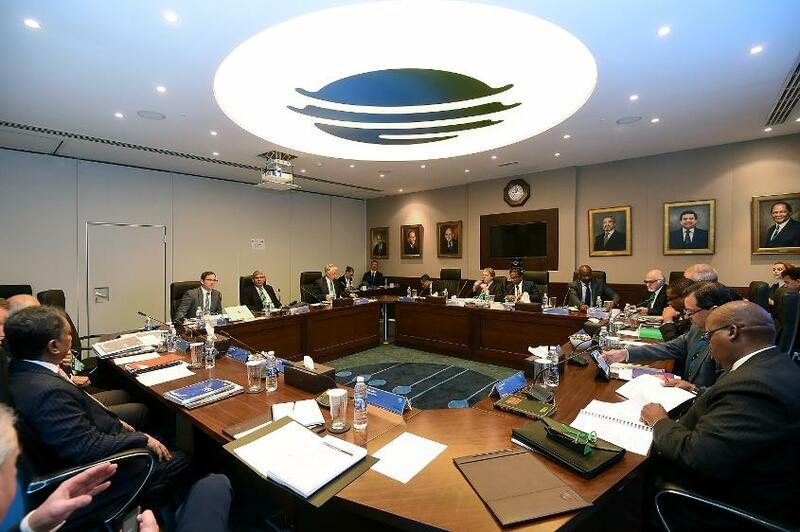 The CEC agreed that venues and Boards should be more accountable for the standard of pitches and outfields they present for international matches, and that there should be consequences for a venue if it presents conditions that make it unsafe for an international match to proceed, without mitigating circumstances or regularly presents substandard conditions for international cricket. It was agreed that a system of Demerit Points be introduced, similar to the new Code of Conduct System as per the table below. Demerit points will remain active for a rolling five year period. When a venue accumulates 5 Demerit Points its ICC accreditation will be suspended for a period of 12 months. Should a venue reach 10 points its accreditation will be suspended for 24 months. Playing conditions for both the 2017 ICC Champions Trophy and Women’s World Cup were approved and will be available shortly. It was confirmed that both semi-finals and finals would go to a super over in case of a tie. · Afghanistan Cricket Board’s Ahmad Shah Abdali Regional 4-day Tournament was awarded First Class Status, and by extension, the Shpageeza T20 League was awarded List A status. · The dates for the ICC Women’s World Twenty20 2020 in Australia were confirmed as 21 February 2020 – 8 March 2020. · The Chief Executives’ Committee authorised ICC management to initiate the process of developing an amendment to the ICC’s Anti-Corruption Code to permit the use of cell phone data extraction equipment. This includes exploring the legal aspects of introducing the technology, exploration of the technology itself and liaising with all interested parties before reverting to the ICC Board with a full proposal for consideration later in 2017. · An update to the ICC Gender Recognition Policy to ensure it is in line with current scientific thinking was approved. ut into ICC policies and regulations that have a sports medicine or sports science aspect. · Both the CEC and the ICC Board received an update from Director Giles Clarke following his recent visit to Pakistan as Chair of the ICC Task Force. The progress that has been made by the Pakistan authorities was presented and a recommendation that Members take the opportunity to send their security experts to Pakistan to view the current situation was made.